Saturday morning was just beautiful. I woke up, with the soft glow of sunlight diffused through the curtains. I knew it was a beautiful day, but the sun was not slapping me in the face. I had a rough night of sleep, and Josh had already gotten up to work on homework… so I enjoyed the comfort of my bed, the leisure of the morning, and Adventures in Odyssey. When I finally convinced myself to get out of bed, for the only thing that could improve the situation was coffee, I went downstairs. The guys were getting ready to leave for a guys breakfast. I continued to paint my frames for my gallery project, sipping my coffee, until they left. THEN the Property Brothers joined me, my coffee, and my painting. I enjoyed that time, taking in the sunlight flooding my house… the satisfaction of making headway on a project, and the fact that there was no one I had to share with. I was so thankful for this time, alone in my house. I love the people I share my home with, but it’s different when they’re there. The guys came back (and brought me some breakfast! 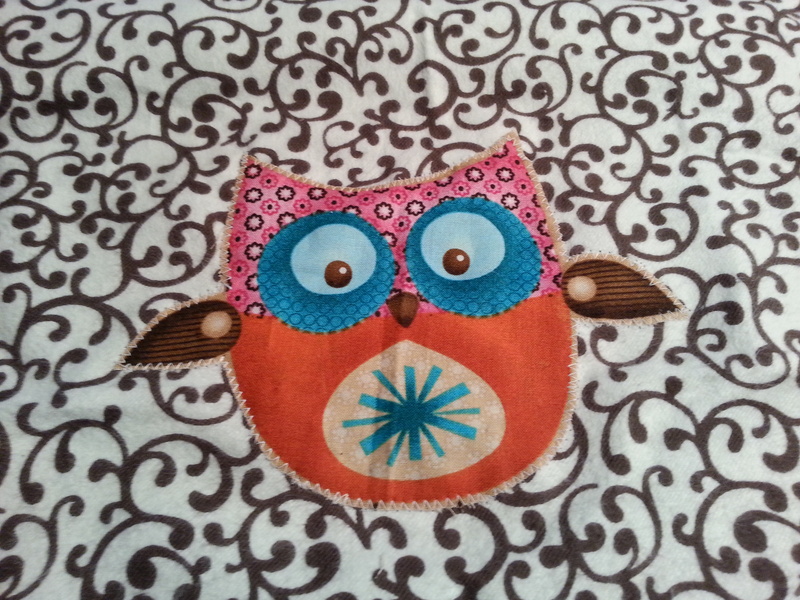 ), and I started work on the quilt. And then got freaked out, and called my mom. After about 20 minutes, my brother called me! (Another wonderful distraction.) When I got off the phone with him, I actually knocked the quilt out. So now it is a legit blanket. I just need to do the little knots to hold all the layers together! Then, I watched a stupid movie on Netflix and worked on my photo gallery project. It still isn’t on the wall, but it’s going to look awesome. Saturday night I made Shepherds Pie, and french toast casserole. We baked the french toast casserole on Sunday morning, but had Shepherds Pie for dinner on Saturday night. The guys watched a movie, honestly I was more focused on my quilt. Sunday we went to church, had Shepherds Pie for lunch, and I worked on making pillow covers which Josh and Aaron did a driving lesson. I’m currently making another one with a hedgehog on it, but I’m stuck in the middle of the project because I’m having bobbin trouble. 😦 I will figure it out, but last night I got so frustrated I started crying. Haha. Josh fired up the grill and made burgers (he did everything and it was amazing), and we had a guy from our growth group over. It was such a productive afternoon, and so refreshing to have someone over. We sat on the back porch (it was 70 degrees! ), and talked, and laughed, and ate. After he left, we went over to our friends and played Kingdom Builders. This morning, I got to sleep to a decent hour! The early Monday meeting was cancelled, due to a class being held at our building. 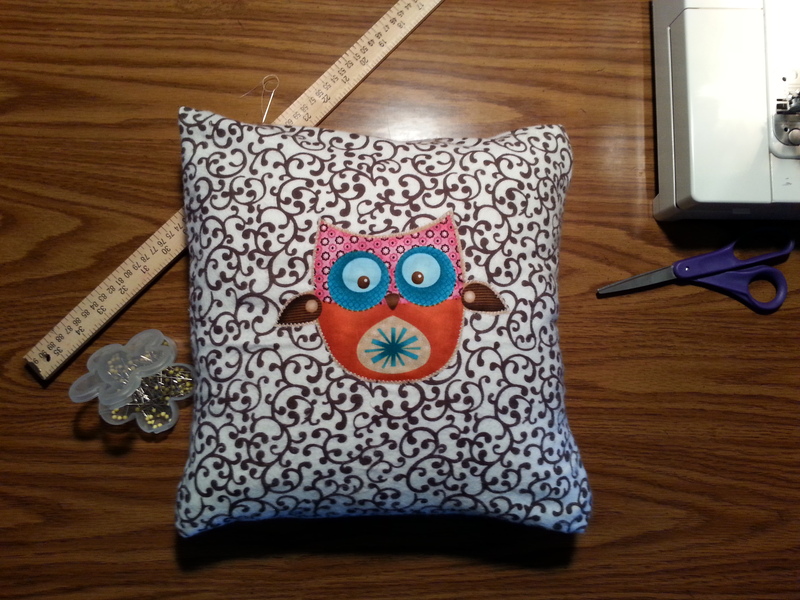 Tonight I’m going to battle it out with the sewing machine, and remember that I am only a beginner. That means I’m learning… and need to have more patience with myself. I am so proud of you for working on your studies, even though that means less time with me. I’m so thankful that you bring up hard conversations, even if that means there are tears. I’m so thankful that you support my creativity, even though that means money is spent. This weekend was a huge confidence boost for me, it was seriously relaxing, and I’m thankful for the quality conversations we were able to have. AND I’m glad I finally gave you that haircut… your mullet had to go, babe. I’m looking forward to date night on Wednesday, and so glad I get to come home to you every night… even when things are tense because we’re dealing with the hard aspects of real life. I like doing life with you, even when it’s hard.